In celebration of Memorial Day. Give the kids an extra “spark” to an all-time favorite snack. 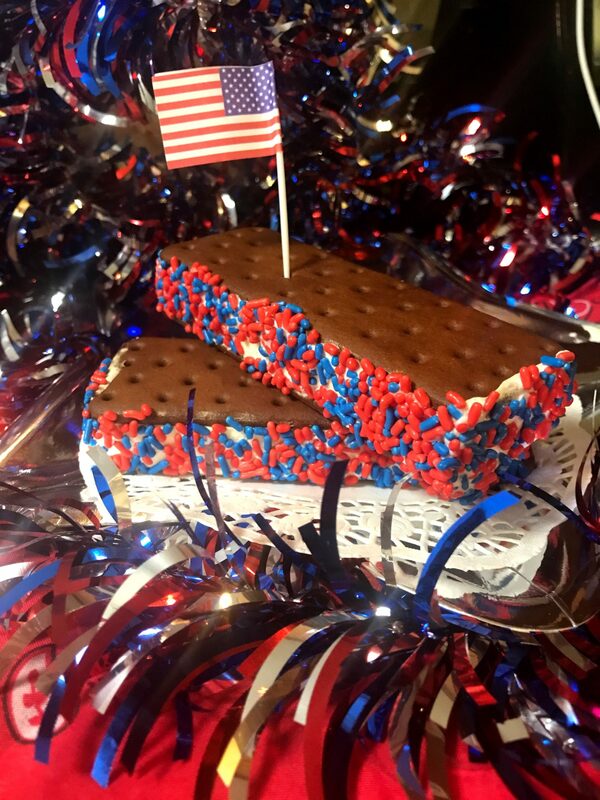 Dip ice cream sandwiches in patriotic sprinkles. Nothing could be faster or easier and the kids will love it!